How many times does your office team have to call, then call again, to give patients simple updates? Updates that aren’t covered by HIPAA Compliance requirements? Simple notifications can be easily communicated via text messaging. For example, notifications and updates concerning lab work being back in the office, back-ordered supplements or products becoming available, new office hours, expanded services and more can all be easily communicated via text messaging. Conversational text messaging from SMS-Magic helps improve patient communications across the globe for our healthcare-related customers. Patients actually read the notifications, thanks to the natural feel of text messaging, so they get your updates. Office staff saves time and frustration since they no longer have to make those repetitive, time consuming calls. Following are a few examples of how you can use conversational text messaging to better communicate with your patients. Thanks to SMS-Magic’s seamless integration with CRM data, or your own database, you can automatically trigger real-time updates whenever new information is added to a patient’s record. Please note that the green messages are automated workflows and the yellow messages are manual replies from your customer or from the SMS-Magic user stepping in to respond personally. Let’s say your patient has had some lab work performed. When the results arrive, the patient’s record is updated. SMS-Magic automatically sends an update to the patient, letting them know that their results are back. You can also ask them to call the office directly for a secure discussion of the results, or automatically schedule an appointment. You can also set up real-time alerts for back-ordered product availability, service updates (for example a new service offering,) or for any repetitive actions that your office staff needs to take manually. When a patient replies with the HELP keyword, (or any keyword), SMS-Magic can immediately alert your office staff so that they can initiate a rapid response in a 1:1 conversation. Patient communications have never been easier than they are with SMS-Magic text messaging. Your patients will appreciate the convenience messaging offers to them, and they’ll appreciate you for your quick updates and responses. 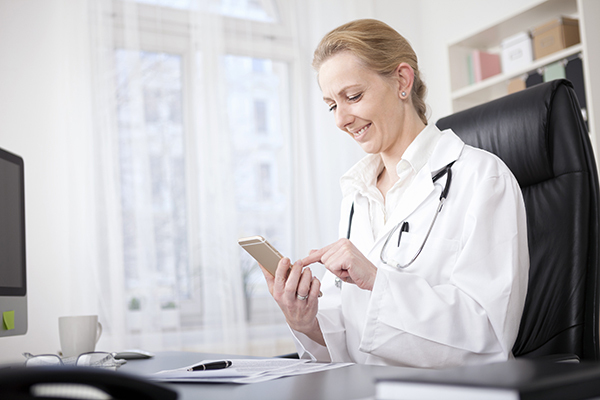 You’ll take patient service to a whole new level with conversational text messaging. Your patients will love you for it. Text messaging campaigns can be a more responsive means to engaging prospects and customers if you use these 7 best practices to deliver the right message. Text messaging is a powerful channel for customer engagement. Dispel 4 myths that try to tell you text messaging doesn’t work for business communications. See the Magic of Converse in action along with use cases for your specific business. From single to multi-message campaigns and events, we’ve got you covered.